You get used to the way you look in the mirror each morning when you get ready to go out into the world. But now, more hair than usual seems to be floating down the drain when you take showers, and hair is also falling out more often when you comb or brush it. 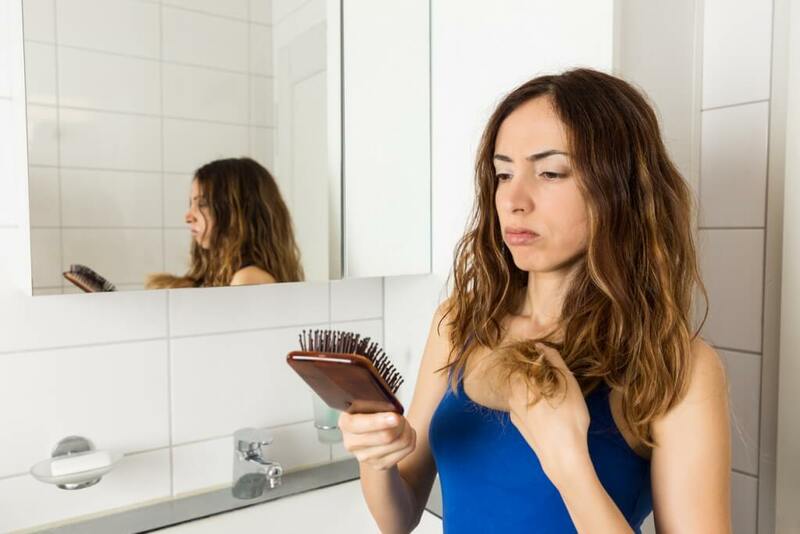 While it’s normal to lose somewhere on the order of 100 hair strands on a daily basis, if you are shedding more hair than usual, it’s time to pay attention. If you’ve been noticing that lately your hair is starting to fall out, the change can be dismaying. Hiding hair loss with a hat may not be your style. Before coming to visit a cosmetic surgeon to discuss your options for dealing with hair loss, it would be a good idea to get to know some common reasons for hair loss. Some of them may surprise you! A primary cause of premature hair loss is not getting enough iron in your diet. Men and women sometimes fail to get enough iron in their diet and if their doctor has diagnosed them with an iron deficiency, he or she may prescribe iron supplements to be taken with meals. This is particularly important for vegetarians since they are not getting iron from animal protein. Patients often come to the doctor complaining about new hair loss only to discover that it was caused by a change in diet. If you reduce your protein intake, your body may stop producing hair. Your hair could even fall out or start changing color. It would be prudent to discuss your dietary choices with a medical professional and if warranted, be checked for protein deficiency. Has your hair loss coincided with a new prescription drug? Consider how many warnings you see on various medications. It’s possible that one of your new drugs has a side effect of hair loss. Always consult with your physician if you are considering stopping the use of a prescribed drug. Losing your hair from getting stressed out is not a cliché. Whether you are under increased pressure at your job or school or have been through some kind of major life-changing event, the anxiety and fear can build up to the point that it causes follicles to fall from your head. Learning to manage stress and avoid stressful situations can go a long way toward preventing this type of hair loss. Your doctor may want to rule out a thyroid problem when presented with a case of thinning hair. Changes in the thyroid gland, whether it is now overactive or underactive, can lead to hair loss. A consultation with your doctor to check for a thyroid condition will settle the issue. Are you starting to lose your hair? Help in changing your appearance through cosmetic surgery is just a phone call away. For more information about solutions for hair loss or to schedule an appointment, please contact Metropolitan Vein and Aesthetic Center at 914-295-2202 today.